As the name of the topic saids list your favorite Turok Weapons! There is no Limit! I love all Turok Weapons even Turok 08 a bit even tough they're generic. Every single weapon from Turok: Evolution. Turok has some of the best non generic weapons in any FPS to this day! Here to keep Sleg raptor handlers from extinction! Cerebral and Swarm Bore from T2 and TE. I like the sheer brutality of how it’s a drill (Or drills) that kills you from the inside. Nasty stuff. Also the sound it makes is satisfying in a weird way. Sleg raptor handlers get no respect. Which is very sad. Probably the minigun from Dinosaur hunter. 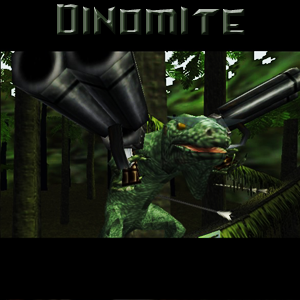 I like miniguns in general and Turok has a great one. shotgun with explosive ammo is a close second. MAG60 no doubt about it. But for non weapons of mass destruction, definitely the regular Shotgun in Turok 2. It's my main weapon of choice above all. Plasma Rifle is also another one up. Mainly for multiplayer. Not because it can one-shot but for the aiming skill. When it comes to looks, I like the design of the Alien Weapon.